The purpose of the Society is to provide a formal means of recognizing outstanding scholarship in the field of marketing and offer the students and faculty a visible means of symbolizing that excellence. This association seeks to foster scientific study and research in the field of marketing; to develop sound thinking in marketing theory and more exact knowledge identification of marketing principles; to develop better public understanding and appreciation of marketing problems; to improve the methods and techniques of marketing, research to contribute to the improvement of teaching of marketing. To encourage students to choose their career within the field of marketing, and stimulate interest and encourage scholarship of students presently in the marketing curriculum. The mission and objective of Beta Gamma Sigma are to encourage and honor academic achievement in the study of business and personal and professional excellence in the practice of business; to foster and enduring commitment to the founding principle and values of honor and integrity; to encourage the pursuit of wisdom and earnestness; to support the advancement of business thought and to encourage lifelong learning, and to enhance the value of Beta Gamma Sigma for student and alumni members in their professional lives. For more information about our local chapter click here. The purpose of the Economics Club are to provide a medium through which interested students can discuss matters of economic significance; to further the development of systematic analysis of economic phenomena by encouraging research; to examine the impact of political, social and psychological actions as they relate to the individual and to the aggregate economic well-being; and to engage in other activities which will enhance comprehension of the science of economics and it is interdependence in with other disciplines. Each meeting shall provide for consideration of some economic problem or current economic interest. The purpose of this campus chapter are to through research, discussion, publication, and other appropriate means to conduct and promote study and understanding of the social and economic implications of the science of finance, and to encourage scholarship, friendship and a better understanding of finance through our faculty and student membership. The purpose of the Investment Club is to encourage students to make wise investments as a means of accumulating wealth. The purpose of this campus chapter will be: (1) to cooperate locally with our sponsoring chapter through the office of Student Activities and the National Society through the office of the Campus Division; (2) Through research, discussion, publications, and other appropriate means to conduct and promote study and understanding of the social, psychological and economic implication of scientific management. The mission of the Society for Entrepreneurs (SE) is to be a catalyst to inspire, educate, motivate and encourage students to cultivate an entrepreneurial mind-set, to practice and learn the entrepreneurial strategies, identify and pursue business opportunities and to engage in business plan development and business plan competition. 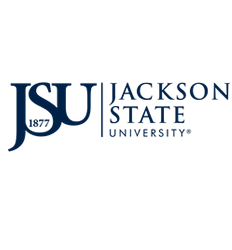 The College of Business Dean’s Student Advisory Council is established to band together business students, faculty, and friends of the College interested in improving promoting, enlarging, and developing Jackson State University=s College of Business and its facilities, faculty, and services. To unify and combine their efforts and support so as to yield effective forces when and wherever needed in order to achieve the College=s goals; and to promote a closer union and fellowship among faculty, friends, and students of the College of Business.